Dr. Shwom lectures at The American Academy of Optometry National Conference! Home » News » Dr. Shwom lectures at The American Academy of Optometry National Conference! Dr. Shwom recently lectured at the American Academy Optometry National Conference in San Antonio, TX. This is the premier educational conference for the profession. The conference is held every year throughout the United States. This years conference was held in San Antonio. 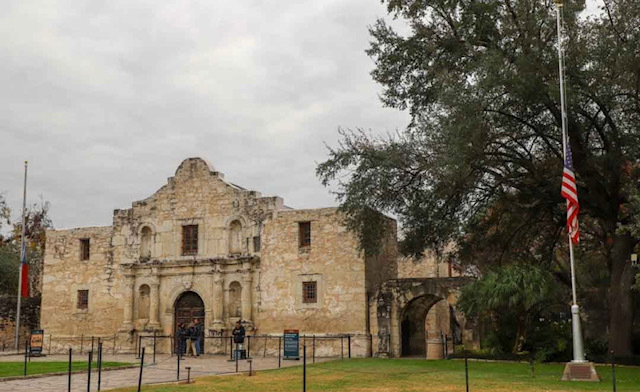 The premier attraction of that city was the ALAMO! At the conference, Dr. Shwom gave two workshops for the doctors. One on Dry Eye, a common ill of many people today. Dry eye affects a number of people. The workshop discussed different remedies and solutions to this common problem that the doctor’s can implement. The second workshop was on Foreign Body Removal. During this time of year as well as in the Spring, people are outside working on the yards. They are more likely to get dirt, twigs, leaves, dust and debre from working outside. The workshop that Dr. Shwom gave elaborated on how the doctor’s can handle the removal and treatment of these foreign bodies. Next years meeting will be help in Orlando, Florida, home of Disney world! Who is excited for the holidays! We ARE!